Museum of Craft and Design Parket by Bionic Landscape. Photo by David Leong. A dynamic extension of the Museum of Craft and Design for the public. The Dogpatch neighborhood is vibrant and thriving, but lacks public open space to accommodate its rapid and dynamic growth. 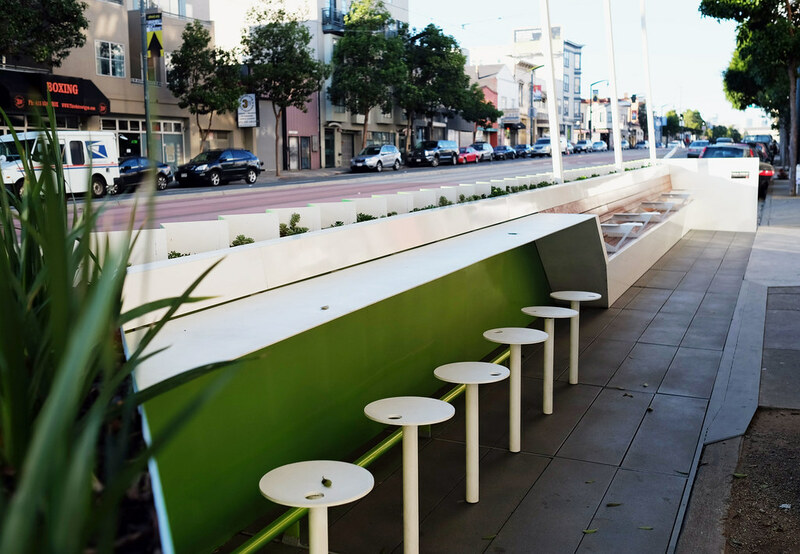 In response, The Museum of Craft and Design (MCD) and Bionic Landscape Architecture created a parklet that echoed the movement and vitality of 3rd Street. 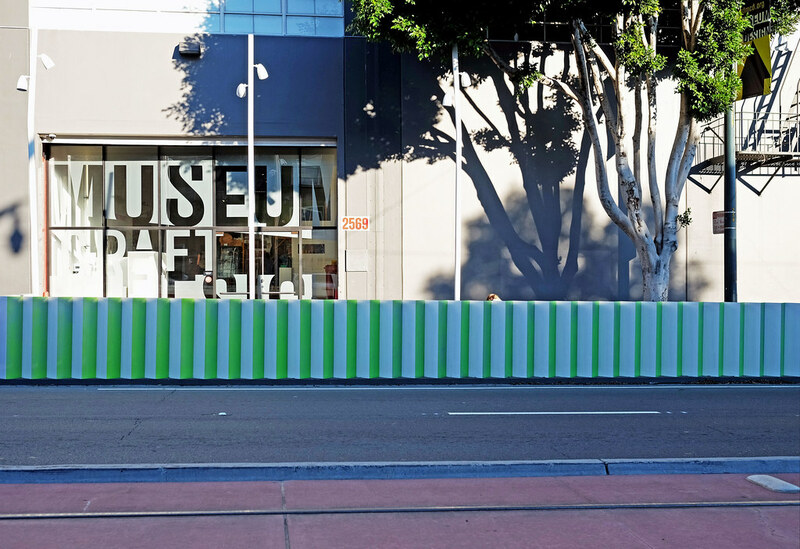 Stout and heavy materials like metal and CMU block form benches that run the length of the parklet, orienting views through the glass wall of the museum into the exhibitions and museum. 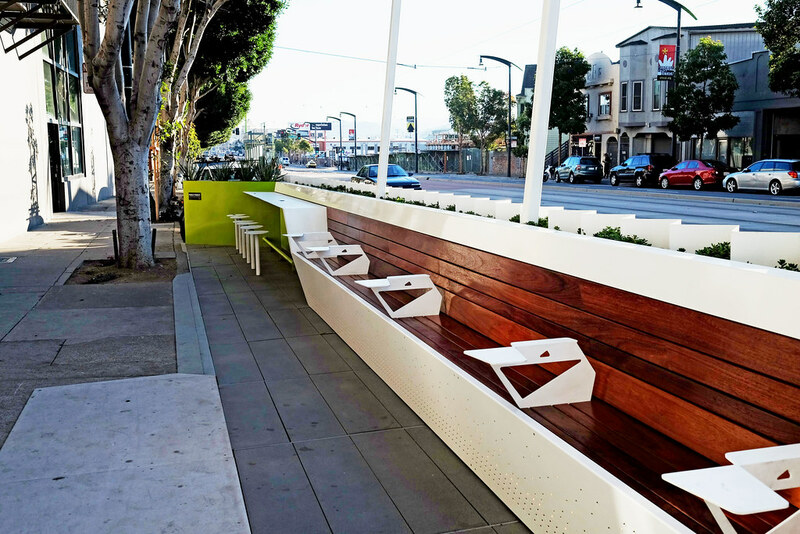 Whether passing by in a car, on the T-Third, bike, or by foot, the parklet engages people to investigate it more closely. It’s a cue that things are going on. 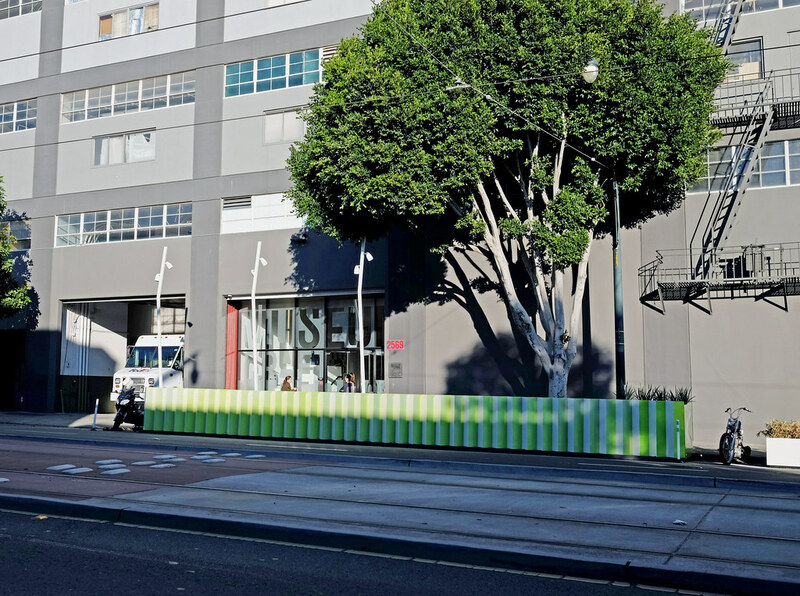 By animating 3rd Street with a park and pedestrian presence, the MCD Parklet provides a safe community place for people to engage with one another in the neighborhood.